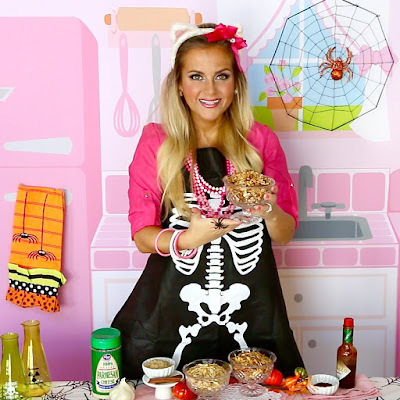 All the best parts of Halloween in one recipe. 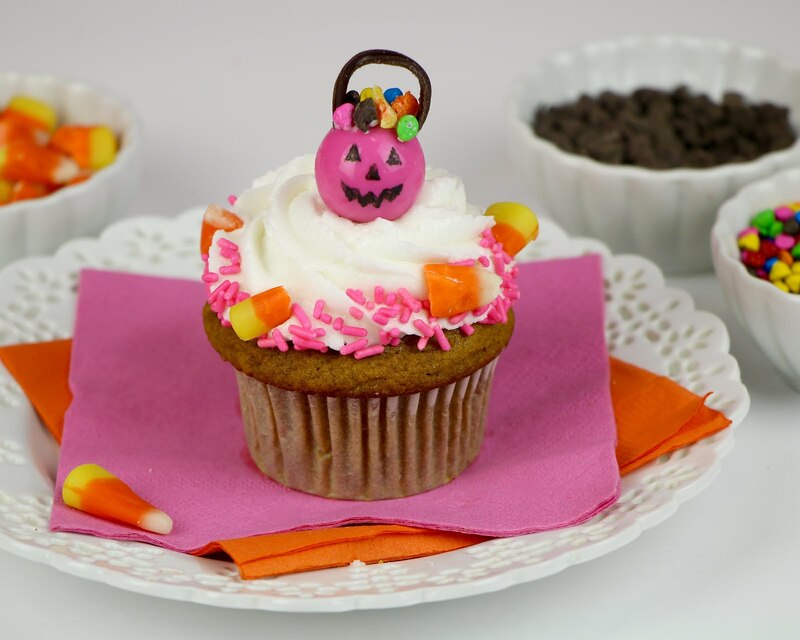 Pumpkin Spice Cupcakes stuffed with candy and topped with a pink jack-o-lantern candy pail. Are these not the absolute cutest Halloween cupcakes you've ever seen?! 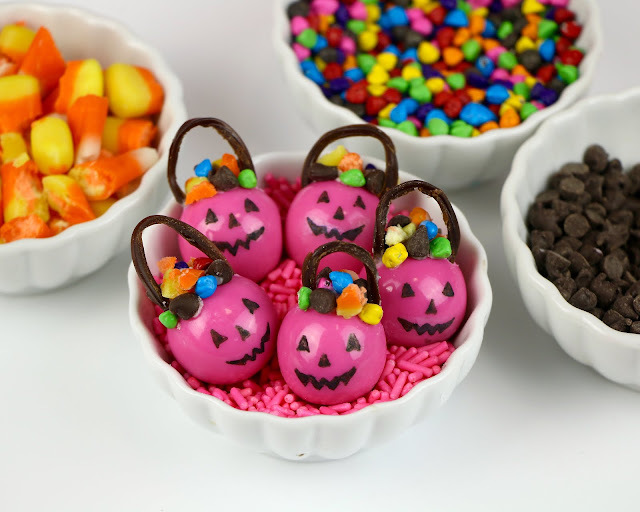 When I was little, I used to have one of those pink jack-o-lantern candy pails to go trick-or-treating with and at the end of the night, my little brother and I would spill out all of our goodies and trade to get our favorites and I would sit and eat my weight in pure chocolate heaven. 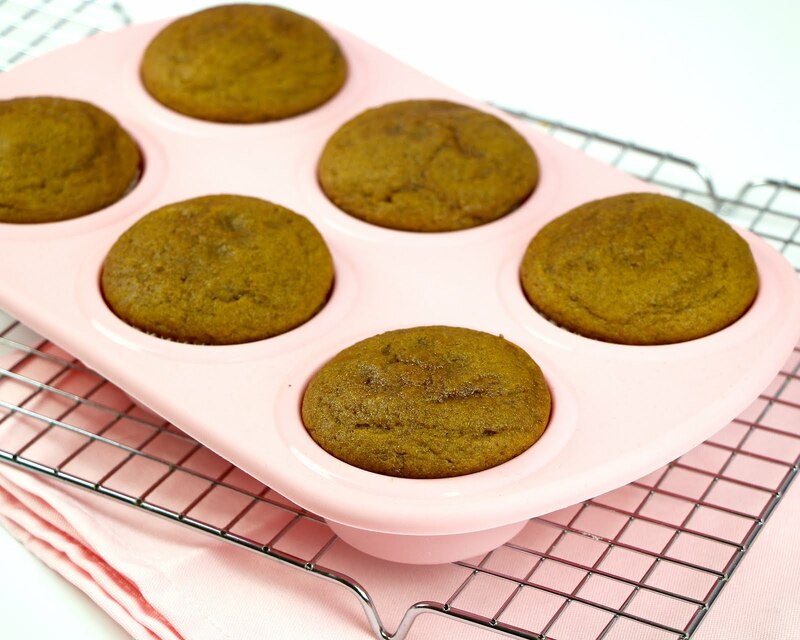 Now, you can use any cupcake flavor for these, but I thought my favorite pumpkin spice cupcakes with cream cheese frosting would be absolutely perfect for these. 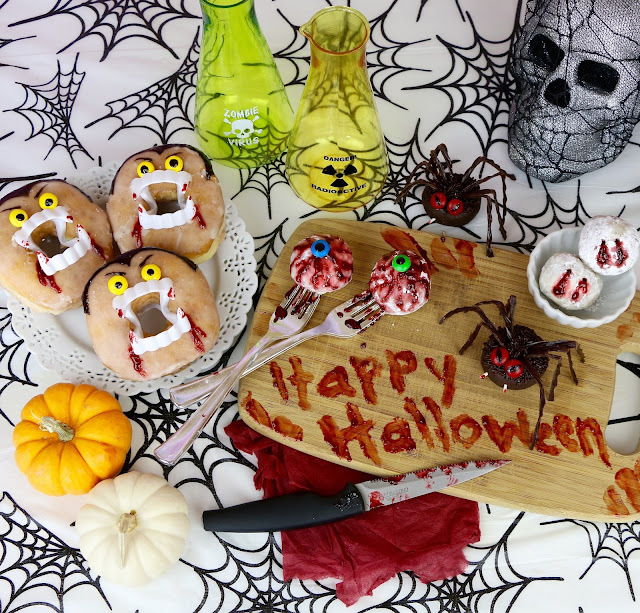 And in true Halloween spirit, I couldn't help but fill them candies. 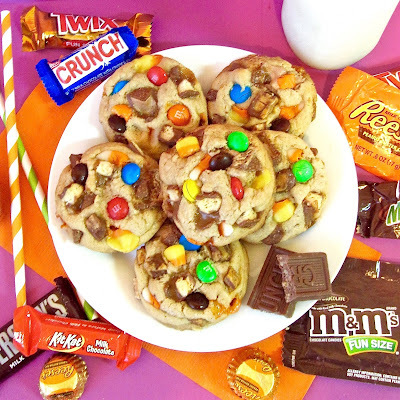 You can really use any kind of little candies or sprinkles you like, even chop up some of your favorite Halloween candy bars. 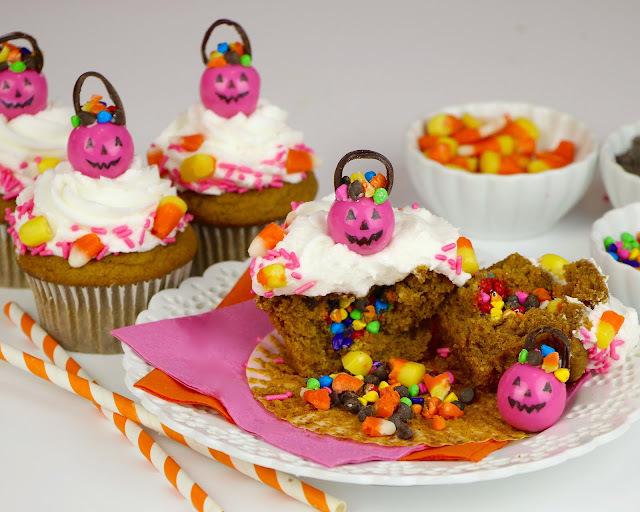 The little pumpkin candy pail on top is 100% edible and so much fun make. 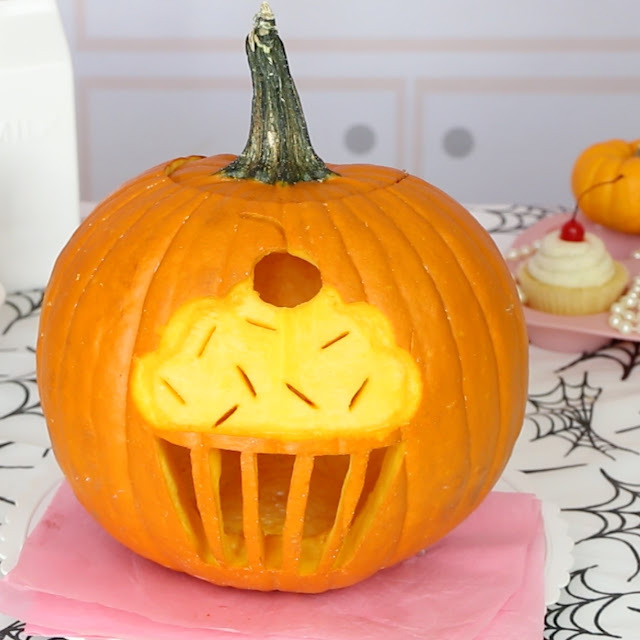 They start with a big gum ball, that you can totally make in classic orange, or pink, like me, and, I drew on a cute jack-o-lantern face with an edible food marker, but you can also do this with food coloring and a toothpick, too, but I'll leave you guys a link to where you can get all this stuff online. 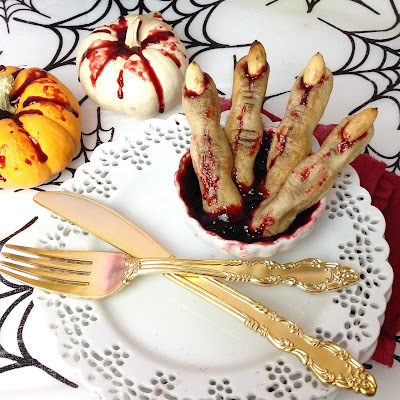 These would be perfect for any Halloween party, everyone always flips over how cute these are. 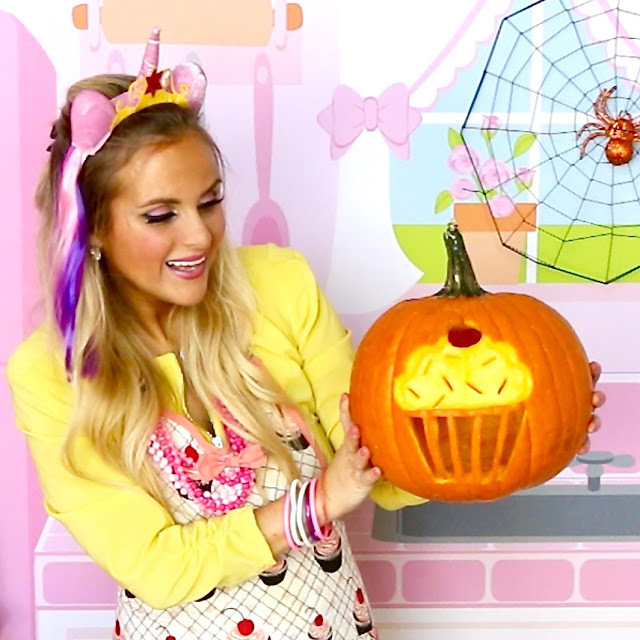 The last time I combined cupcakes and jack-o-lanterns, I carved a cupcake into a pumpkin, so if you love cupcakes and Halloween, like I do, you are definitely going to love that video, too. With an electric mixer, beat butter, cream cheese and vanilla on medium speed until smooth. (make sure they are both at room temperature so you do not get lumps in your frosting). Beat in powdered sugar, 1 cup at a time, until incorporated. Scrape down bottom and sides of bowl. 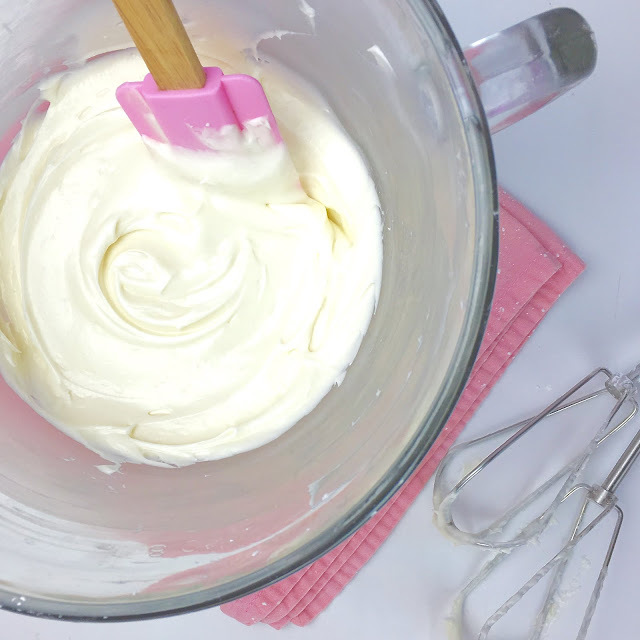 Beat on medium speed for about 2-3 minutes, until creamy. Cut a cone shape out of the top of each cupcake. 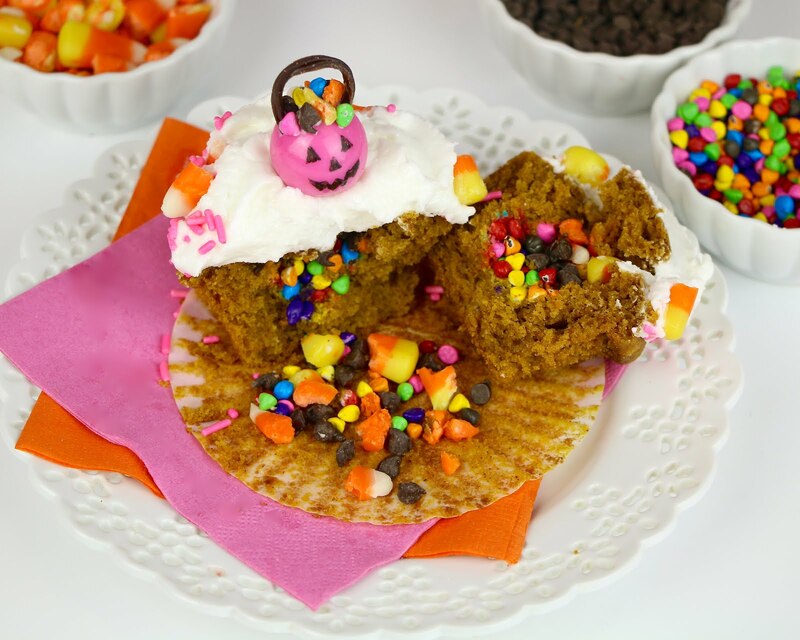 Slice off the tip of the cone and discard. 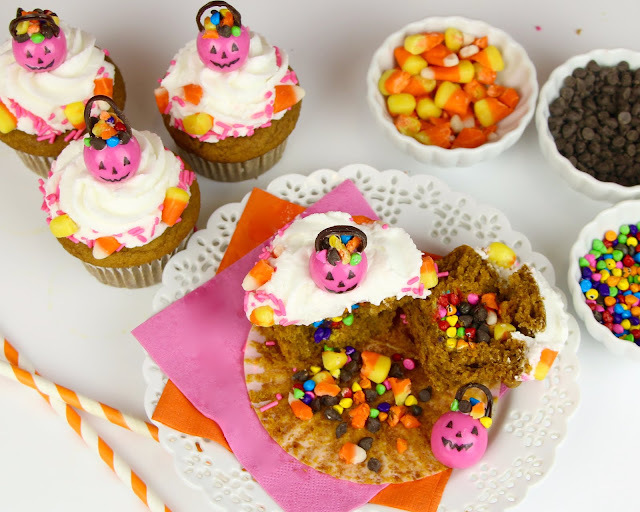 Fill each completely cooled cupcake with 1 tablespoon of candy/sprinkles and place cut out piece back on top (I like to use an apple corer to cut out the center and add 1 teaspoon of rainbow chips, 1 teaspoon of mini chocolate chips and 1 teaspoon of chopped candy corns). Pipe on frosting and add sprinkles and candy corn pieces to the edges. 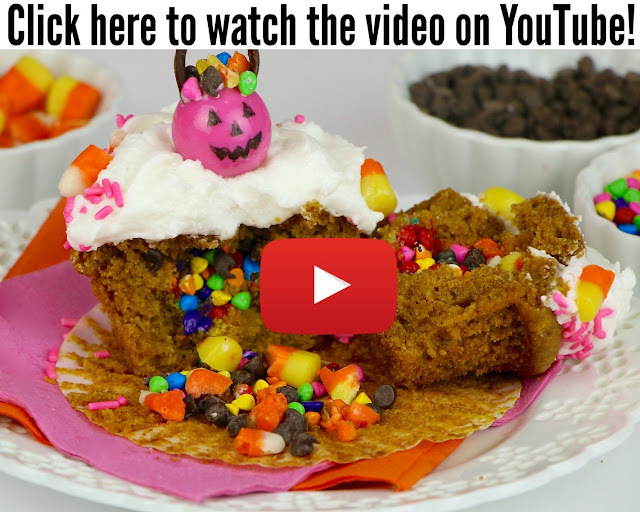 Draw a jack-o-lantern face on gum ball using edible Food Writer Markers. Poke two holes on top with a toothpick. 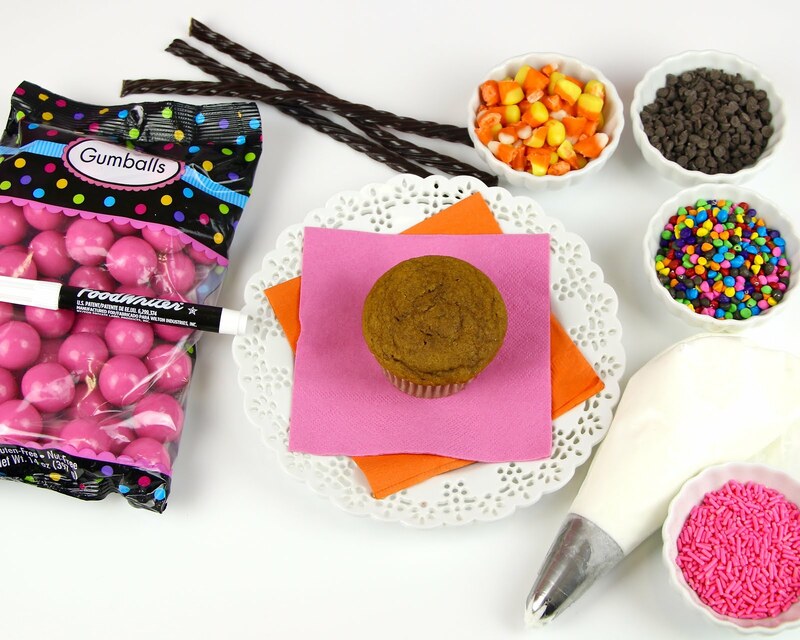 Attach candies on top of gum ball with a dab of frosting. Cut a piece of chocolate licorice twist into a 1 1/2-inch piece. Follow the twist lines to cut into 6 long, skinny pieces. 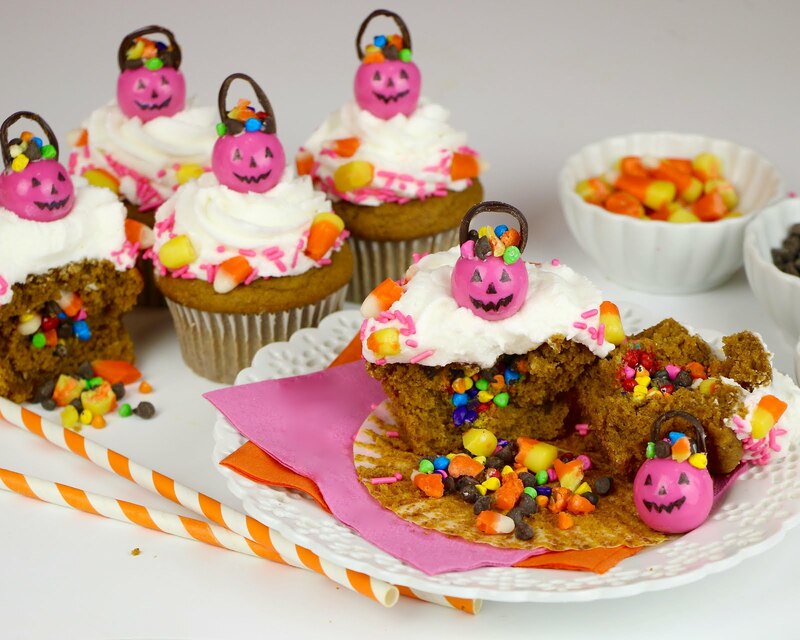 Stick a piece of the licorice in each hole as the pumpkin pail handle. 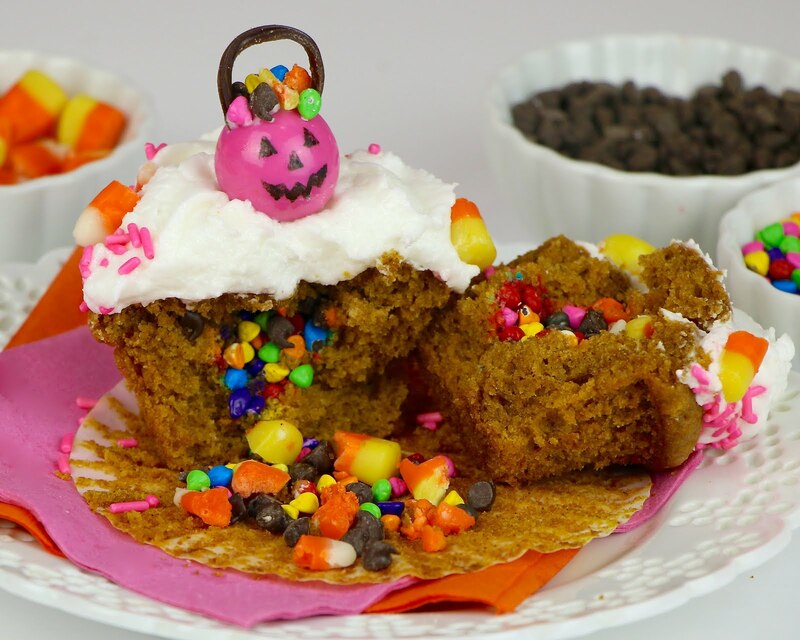 Place on top of cupcake.